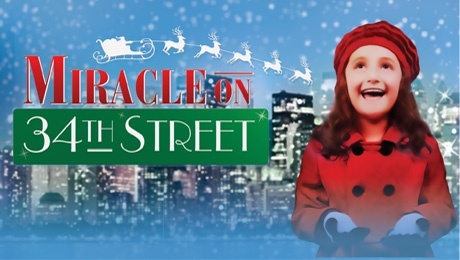 Miracle on 34th Street is arguably one of the most popular Christmas films of our time, so naturally one would assume that a stage show based on said film would be similarly heart warming - unfortunately this was not the case. It's the day of Macy's Christmas parade in New York City. Everyone is eagerly waiting to catch a glimpse of Santa Claus, except one. Susan Walker is a realist - if she can't see it, smell it, touch it or taste it then to her it does not exist. Told from a young age that the myth of Santa Claus was just that, confusion sets in when she meets Kris Kringle, a man who believes he is more than a department store Santa. When Kringle's identity is called into question Susan quickly realises there's more to Kris than meets the eye. Although produced as a musical the story would have worked much better as a play. The songs were delivered well vocally but were easily forgettable and the characters were lacking in depth. That being said, the energetic cast worked well with what they had, with Danny Lane and Michael Adams particularly notable as lovable Kris Kringle and corporate giant R H Macy. The show was missing some vital elements of the original tale which made it hard to invest in. The story line is not fluid and the should-be heart felt scenes between both Kringle and Susan, and Doris and Fred, are non existent. If a colourful and festive set is enough to tempt you then you won't be disappointed. If not, just stay at home with the DVD.